The 30%-off sale runs from November 21-27, so get on it and treat yourself to one of their gorgeous, splurge-worthy pieces! 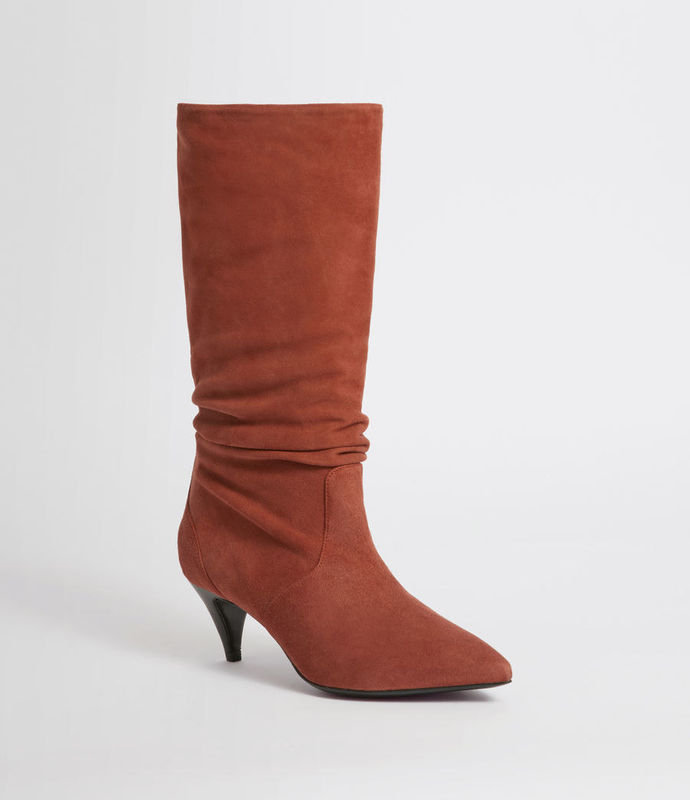 Lovers of luxury and stylish clothing, I come bearing great news: AllSaints is having a site-wide sale where you can snag everything from boots to leather jackets for 30% off! The sale starts November 21st, and will end on November 27th so make sure you take advantage of all the great deals on their gorgeous and stylish goods. The only thing excluded from the sale = fragrances. Sorry. 1. 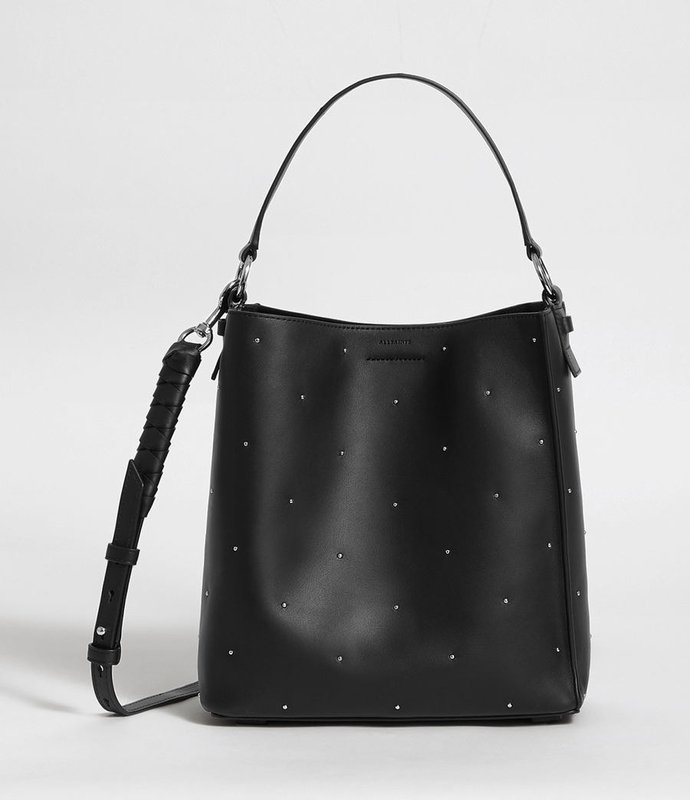 A luxe leather tote with gorgeous detailing — just peep the mini polkadot studs and ribbon knot strap. 2. 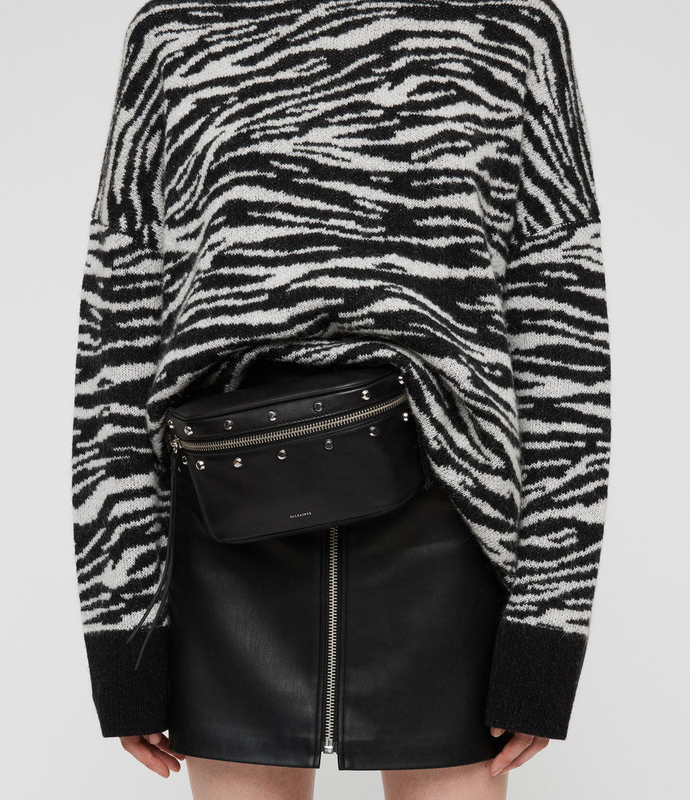 A tiger-print sweater in a relaxed fit to cozy up in all winter long. 3. A chic dress featuring a floral and splatter paint pattern that'll make everywhere you go feel like a runway. 4. A go-with-everything suede trench you and your closet will never get tired of. 5. 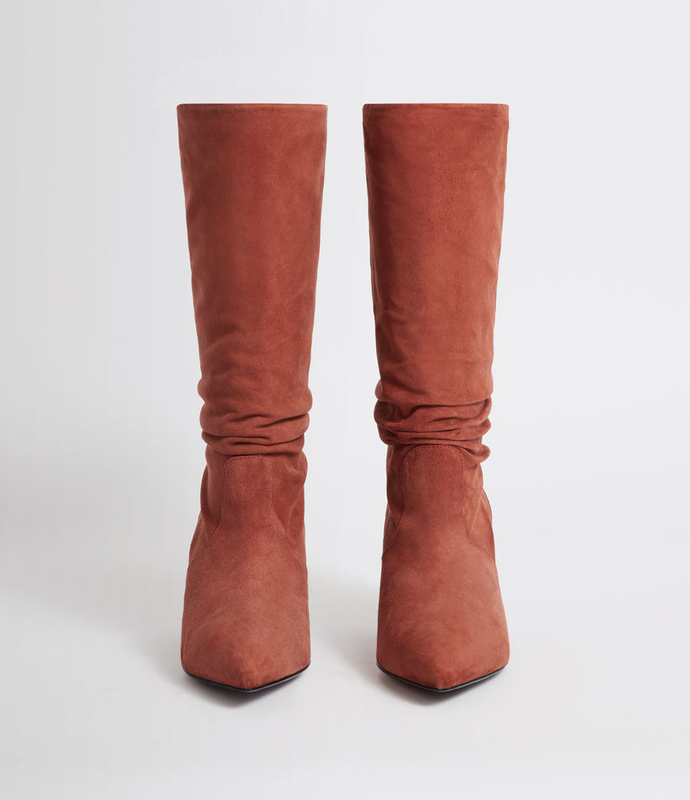 A red suede slouch boot to complete a luxurious outfit that you'll never want to take off. 6. A leather card holder with a snake-print effect for conveniently keeping all of your cards and cash separate. 7. 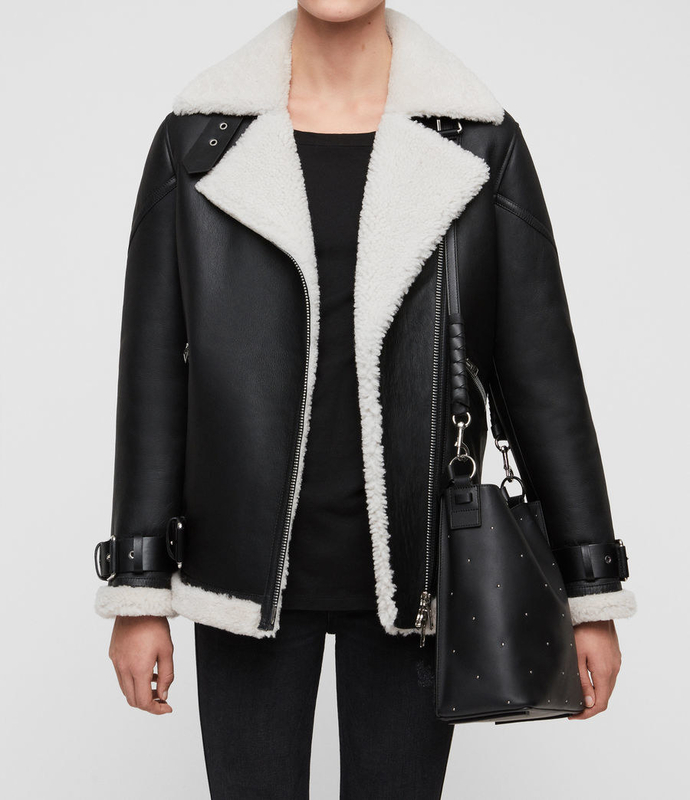 A vintage-inspired shearling coat that'll keep you as equally warm as it will stylish. 8. 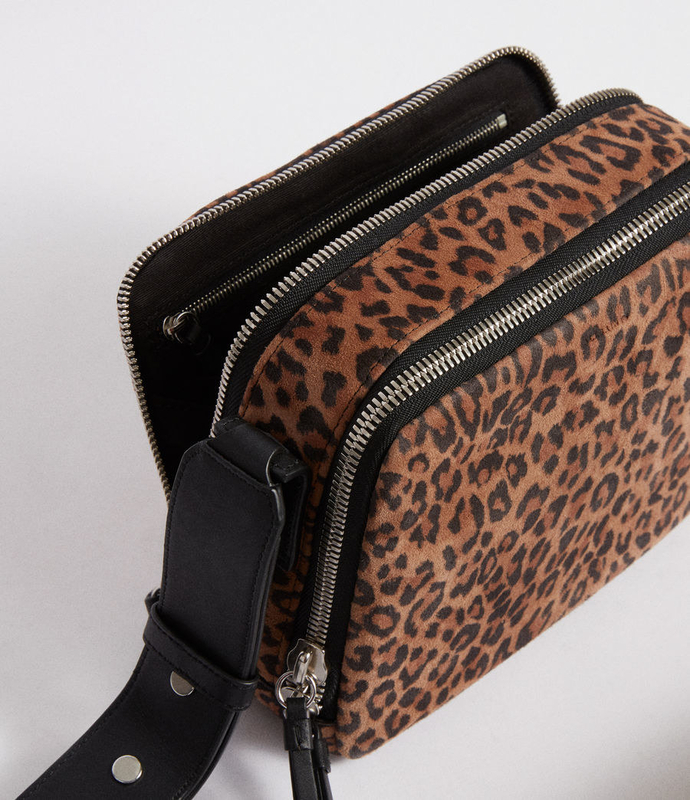 A leopard-print suede cross-body because everyone needs an everyday purse, and I just found yours. 10. 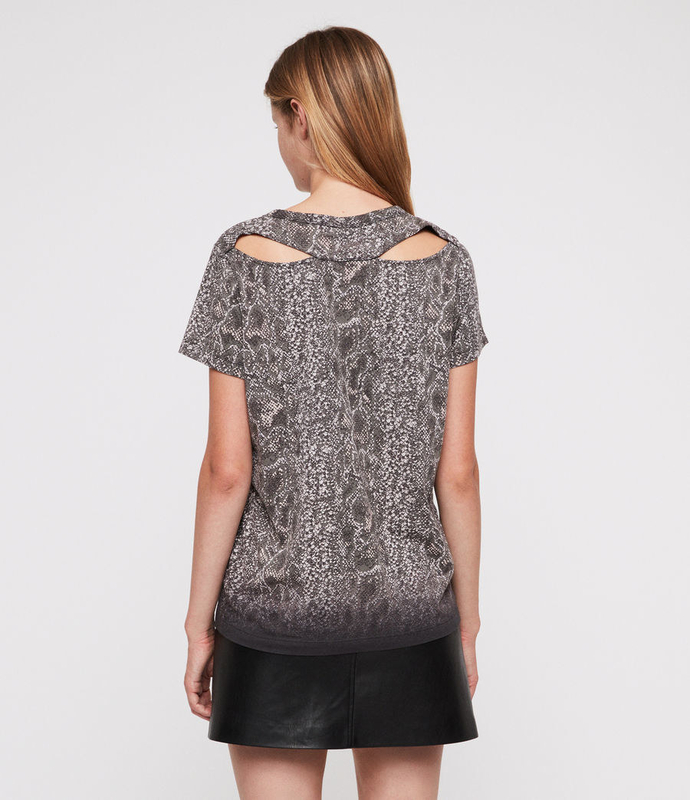 A crewneck, snake skin-print shirt with cutouts and an ombre fade in the back for a fun and flirty surprise. Who says tees have to be basic?! 11. 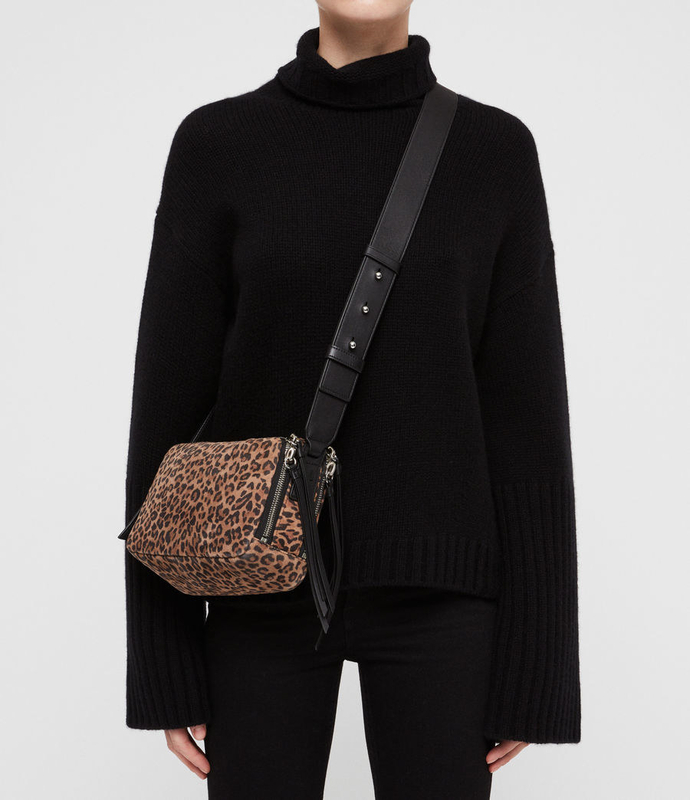 A wide-fit leather belt perfect for cinching sweaters, jackets, jumpsuits, and any outfit where you want a little extra pizzazz. 12. 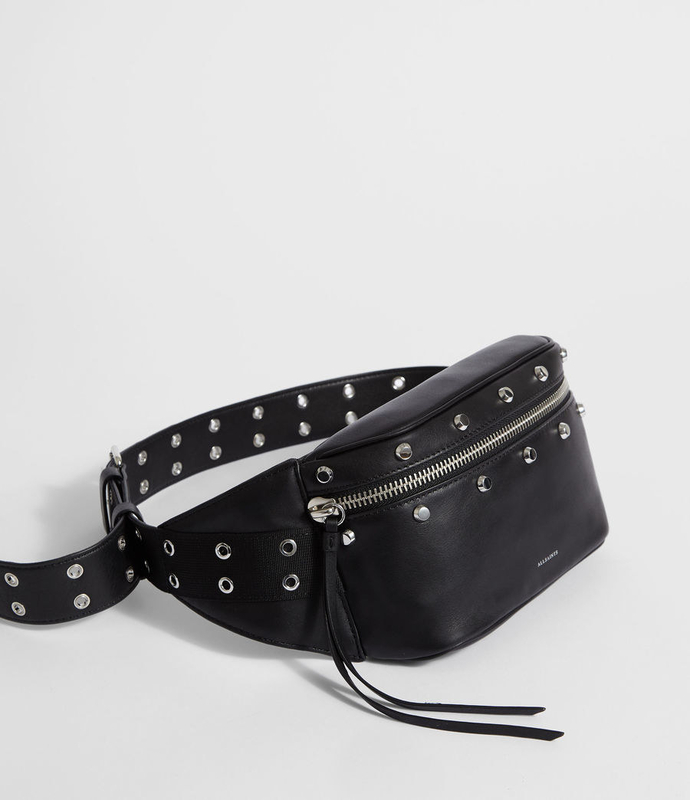 A studded leather fanny pack so you can take around your valuables without having to hold a dang thing — oh, and so you can look trendy as all get out. 13. A merino wool dress featuring a unique shawl collar because you shouldn't have to sacrifice comfort for style. It's like this dress mixed a turtleneck with a v-neck, and I am all about it. 14. 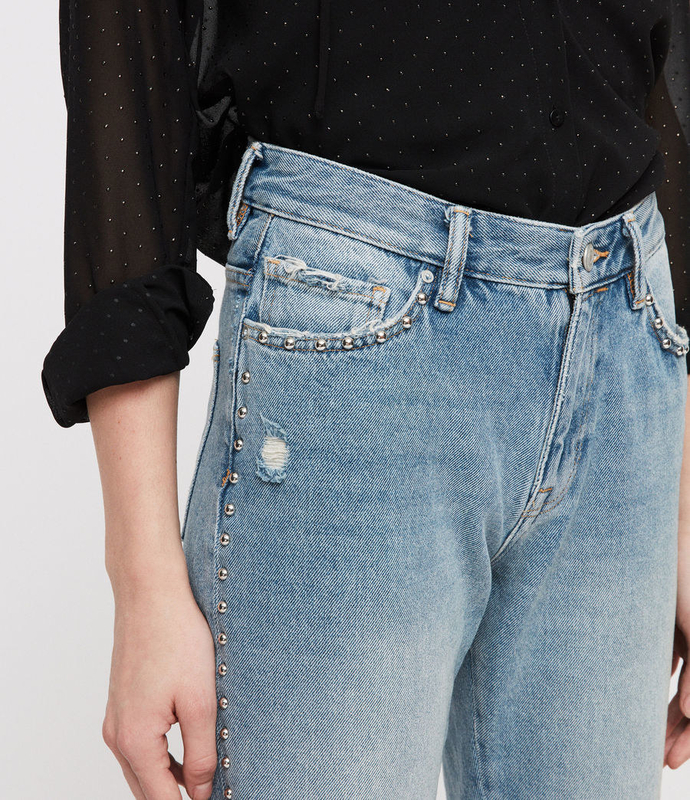 And straight jeans adorned in studs up the seams that'll show up every other pair of denim, guaranteed. 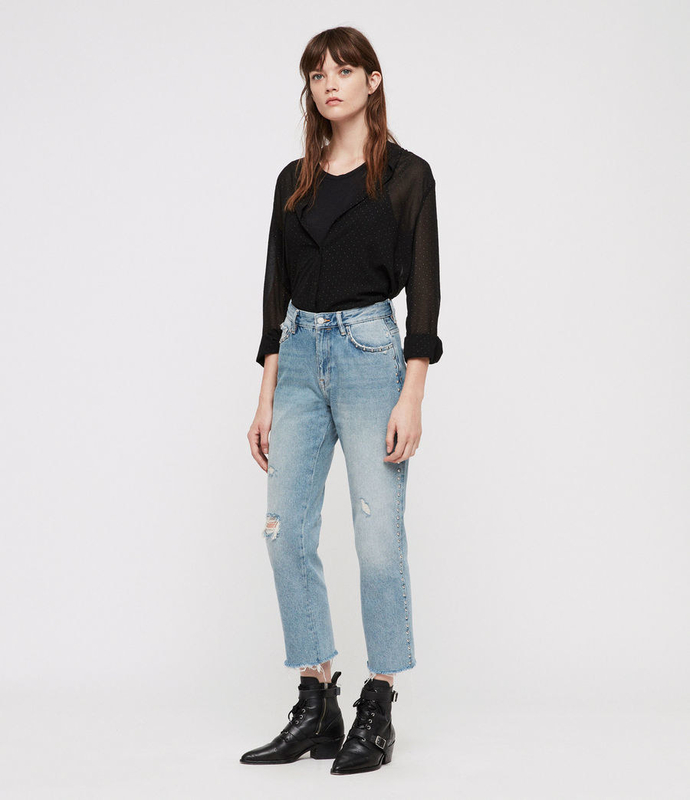 Be sure to check out the rest of the AllSaints site for more amazing pieces!